Over the last five years, it has thrived on religious intolerance, violence and mayhem. India has a parliamentary system sporting a presidential style election. The Bharatiya Janata Party has decided to fight this election on four issues. (i) The Modi cult (ii) Modi as defender of India against Pakistan with surgical strikes and the Balakot bombing (iii) Modi’s economic achievements (iv) Targeting the Congress’s dynastic politics from Nehru’s days. In the main, the BJP has preferred to keep less than visible the Hindu plank on which it has sustained its rise to power. Its religious and Babri Masjid-Ram temple agenda are not being flaunted very much at all. This is a gross misrepresentation of itself – past, present and future. The BJP cannot be separated from the Sangh parivar and the RSS, who are crucial to its election. The parivar has, over the years, cumulatively destroyed a mosque, attacked Christians and Muslims, inspired riots, coercively encouraged ghar wapsi, enacted an odious Triple Talaq Bill, provoked lynchings, sustained the Gujarat massacres and more. The fact that the BJP has assimilated some members from the minorities as its ‘secular face’ means little. Its policies over the past five years include its rabid Sangh parivar followers at the grassroots-level and its RSS shakhas putting forward an uncompromising fundamentalist Hinduism. The Sangh’s ideologues abjure diverse India’s secularism as ‘pseudo’. Say it again and again, the adjective defines the substance. What the BJP would like us to believe is that the entire campaign from its rath yatra to the destruction of the Babri Masjid and the temple movement was just social sentiment. But the BJP’s electoral army consisting of the entire Sangh parivar is committed to a Hindutva agenda. Every part of its five-year rule reeks with encouraging intolerance. The BJP claims to be the party of vikas, but this hidden agenda is suppressed, especially at election time. Whatever its election manifesto may say, all of its nasty policies and forbearances will again dominate the next five years of its work, whether in or out of power (2019-2024). 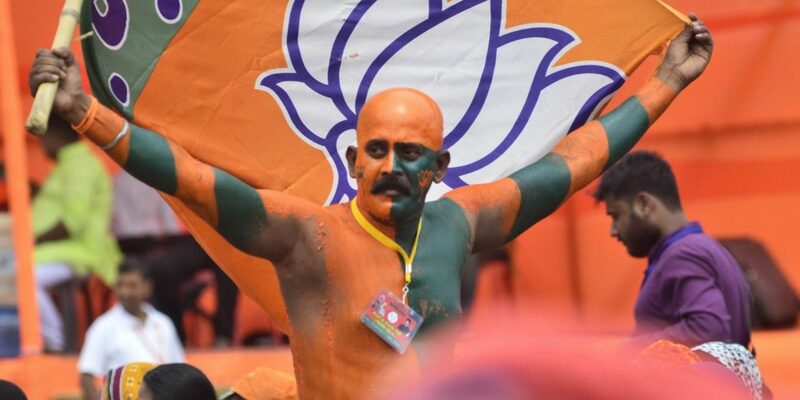 By not putting forward its real face, the BJP is hiding the entire Sangh parivar’s intolerance and hate tactics, which it has supported directly or sub-silentio. The Sangh parivar is a major part of its electoral army. Do we see the BJP apologising for the destruction of the Babri masjid? Its White Paper of 1993 on the destruction of the mosque fully endorses the destruction. I told the Supreme Court that Babri masjid’s destruction was by the Hindu Taliban. Mullah Omar destroyed the Bamiyan statutes. Was the destruction of the 16th century mosque any different? No one is arguing that those Hindus who want a Ram temple on the spot where they razed the mosque are not entitled to argue their title case in the Supreme Court. But coercive sentiment in the name of “Hindus” cannot be allowed to triumph over the principles of the Constitution of India, to which this election is directed and which brings us together. They will walk out of interviews but the BJP’s leaders will never apologise for what happened in Gujarat. Look at how New Zealand is handling the mosque killings in Christchurch. The last five years has seen numerous cow lynchings by Hindutva activists and supporters. In the election campaign, accused lynchers attend UP chief minister Yogi Adityanath’s rallies, leaving the country in no doubt that Adityanath shares their ‘sentiments’. Will the BJP tell the Northeast that their eating beef is acceptable and repeat this all over India? The ghar wapsi campaign was a total infringement of freedom of religion. Will it promise to reverse this ‘social’ policy by condemning it? In the Supreme Court’s decision in Stanislaus (1976), coercion was declared anathema to religious proselytising by any faith. There is no point in pretending that the ghar wapsi campaign was not coercive. Socially coercive campaigns are an affront to religious freedom. BJP governments have enacted anti-conversion statutes directed mostly against Christians in ways that made the statutes themselves coercive. Look what happened to M.F. Hussain, the arts, freedom of speech and expression and the murders of activists. The BJP will not abjure its fundamentalist past or decry the evils that brought them into power. Virtue in governance is more than vikas. India has one of the largest Muslim populations in the world, a large Christian minorities and unparalleled diversities. Under Section 29(A)(5) of the Representation of Peoples Act, 1951, its very registration as a political party is founded on its adherence to “secularism”. This is something that cannot be fudged. In Abhiram’s case (2017) a seven-judge bench declared that appeals to any religion was per se impermissible. Any denunciation of the BJP and the Sangh parivar will not be an electoral malpractice or offence. I write this without reference to any candidate or party. The entire success of the BJP is its intolerant past and skewed Hinduism. This will not disappear in the next five years. The BJP makes capital out of its plaintive exhortation that it is a secular party and reaps electoral benefits by saying it has always been secular even though some “miscreants” (as the Babri judgment of 1994 called them) may not have been. Such statements are necessarily shallow. The rise of the BJP is founded on exclusionary religious para-nationalism. Over the last five years (2014-2019), it has thrived on religious intolerance, violence and mayhem. One aspect of fascism is founded on religions targeting. The BJP cannot separate itself from its rank and file and those associated with its bigotry. The tacit, and indeed explicit, support of the Sangh parivar is the worst intolerance independent India has ever known. No formal statements about secularism will do. Can the BJP refute the evil on which the Sangh parivar is founded? Sab ka sath does not just mean elevating poverty. It is about saving India from all its “sieges within”. The BJP’s election campaign is intended to eclipse and hide its real anti-secular persona. Somewhat deftly, it has hidden this agenda – which goes to the heart of the plans and purposes of the Sangh parivar for its future – from voters. That is why this must be a crucial issue in the 2019 election. 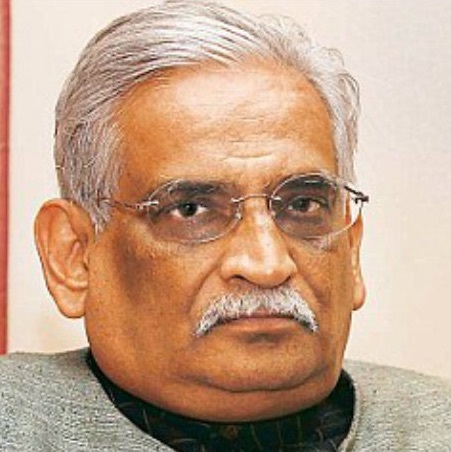 Rajeev Dhavan is a senior advocate in the Supreme Court. He is counsel for the Muslim parties in the Babri Masjid issue.